We've had a couple of questions in about the American Connection system and the Mud Maestro system so today I'm going to answer those, today. 1. Do you have results for both the Mud Maestro + American Connection services? – Pri. 2. Can I ask what enhancements you use for the American Connection system? – Martin. U an ask mark-but I doubt u will ever get a reply on this thing…. I’ve left a few messages in the past but no c*** (offensive word edited out by admin) ever responds….! Mick had made previous comments about the Mystery Horse Bot which were responded to with a comment from myself. American Connection. I made some changes to this back in June, these are the live results since I made that change. Mud Maestro. I added this to my portfolio in February 2013, these are the live results since then. Both are lowish strike rates but with strong ROI which will be much bigger at Betfair SP or early Best Odds Guaranteed. 2. I have written about the changes to American Connection before and there is a fuller explanation in the archives of this site. But briefly, the system looks to exploit an advantage that many don't account for IE US bred. If a horse has already had a number of runs at the course then any natural advantage will have been exposed, so it makes sense to exclude horses that have already had runs at Southwell AW. Horse must have had more than 3 previous runs. Horse must have had 2 or less runs at the track. 3. 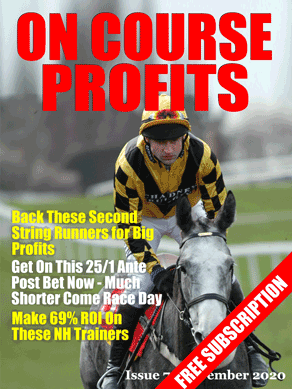 There have been some big priced winners already this month including 20/1 and 10/1 winners. In the long run these two have done the business. Hopefully you had a small bet on the Mud Maestro selections yesterday. Of the four only one came in but it was A Shade of Bay that won which was available early at 22/1 and won at 20/1. There is a qualifier for that system again today. If you missed the post last week where I highlighted the Mud Maestro system you can check that out here. Another of our regular suppliers of profitable selections, the American Connection system, has selections today. You can get the American Connection system here. Both of these systems were released over a year ago and both have continued to profit since they were released to the public! Coral have an offer for Glorious Goodwood that might win you a 6 figure jackpot. I wouldn't bet at Coral especially to use this offer but if you are having a bet anyway and the Coral price matches your regular bookie then place your Goodwood bet with Coral and get a free bet on the Irish Lotto. Paddy Power are going money back if your selection in the King George finishes second Cirrus De Aigles. By the way the Profit Maximiser service shows you how to profit from all these money back if second to offers. They are still letting people into Profit Maximiser but just a few at a time. Totesport have the same money back offer.